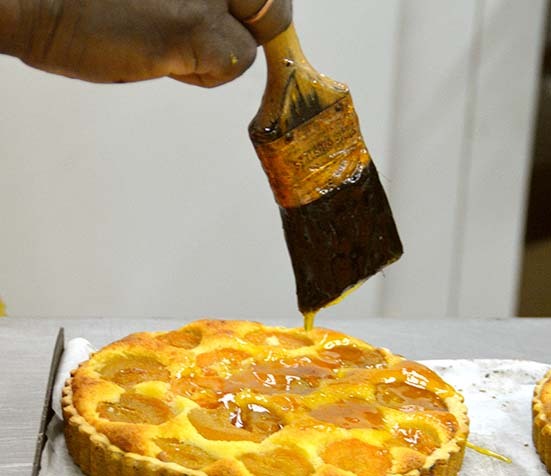 We are a small London based bakery, pursuing a love of all things related to pies, puddings & pastry! With a background as a professional pastry chef, Emma has worked at The Ivy, Le Caprice and Tom Aikens, before progressing into Event Management. However her love of baking has never left and The Life of Pie is a return to her roots and her passion for pies and all things pastry. Find us at Alexandra Palace each Sunday, from 10am - 3pm - come and say hi! Herne Hill and Hammersmith markets. You can't miss the delicious smell of onion, bacon, potatoes, white wine , herbs & huge quantities of Reblochon cheese as you approach La Tartiflette Stall run by the charming Frenchman Jean-Pierre. 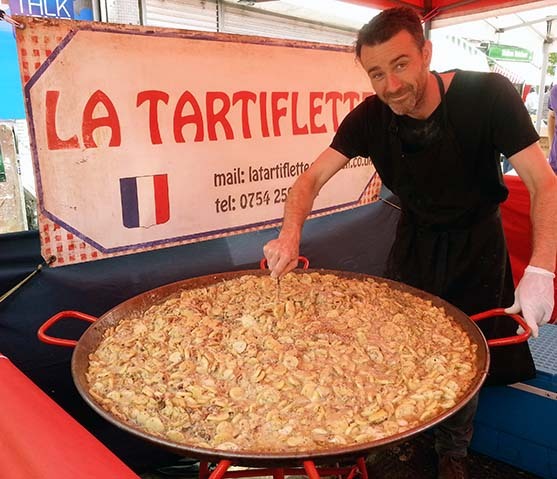 Tartiflette is prepared and cooked on site in an enormous pan and the generous portion is ready to eat on the spot or as many do take away to re-heat for dinner at home. It's accompanied with a salad garnish and French vinaigrette. 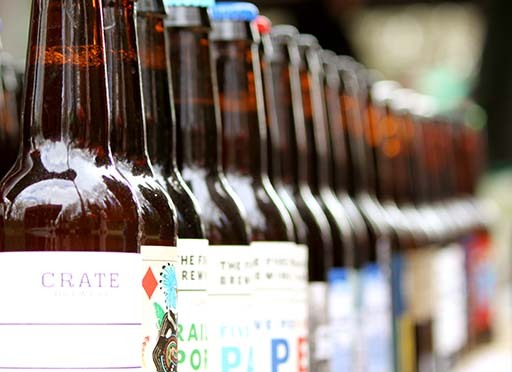 Jason Clarke set up The Beer Seller in the spring of 2014, with the aim of making the best of the the UK and in particular the burgeoning London craft beer scene, as easily available as possible. An avid home brewer and a passionate evangelist for UK craft beer, Jason was keen to be able to tell people a little more about the beers he was selling online and the Beer Seller stall was born. The Beer Seller stall at Alexandra Palace offers over 50 different beers from a revolving cast of London breweries, with guest breweries and ales being added on a regular basis. Having undertaken the arduous task of visiting and tasting each and every beer before offering them on sale at the stall, Jason is able and only too willing to offer advice on making those perfect food and beer pairings. The Pished Fish - Booze Infused Smoked Salmon. Spawned from a love of curing and smoking meat, James Eagle decided to try his hand at curing and cold smoking salmon. The results were fantastic and he eventually gave in to pressure from friends and family to make a business out of it. 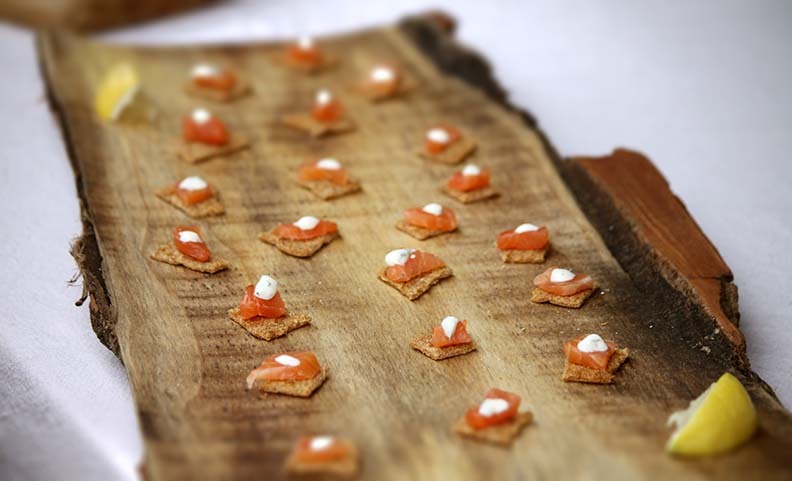 Inspired by working in Scandinavia where the combining of alcohol in the cure is common in gravlax, there is plenty of room for experimentation with different flavours and different wood smoke combinations. Look for The Pished Pirate - salmon cured in spiced rum and grated ginger, smoked over oak and glazed with molasses. Or perhaps something more 'zingy'? 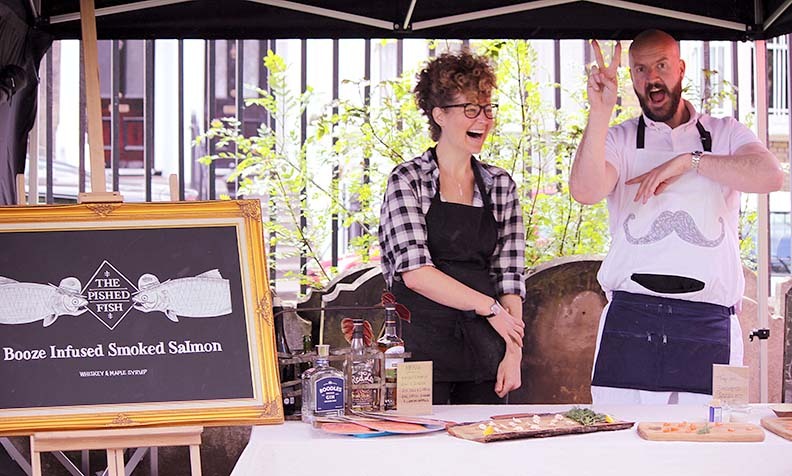 Try their gin, citrus zest and dill cured salmon, lightly smoked over apple and alder wood, perfect with some sourdough, watercress and their mustard and dill sauce. Come and find James and Hermione (his long suffering vegan girlfriend) at Oval on Saturdays. and Herne Hill every other Sunday. Hammersmith Market, Manor House Gardens, Telegraph Hill and Alexandra Palace markets. The Celtic Bakers is an artisan, wholesale bakery in North London, situated in the old Chocolate Factory. 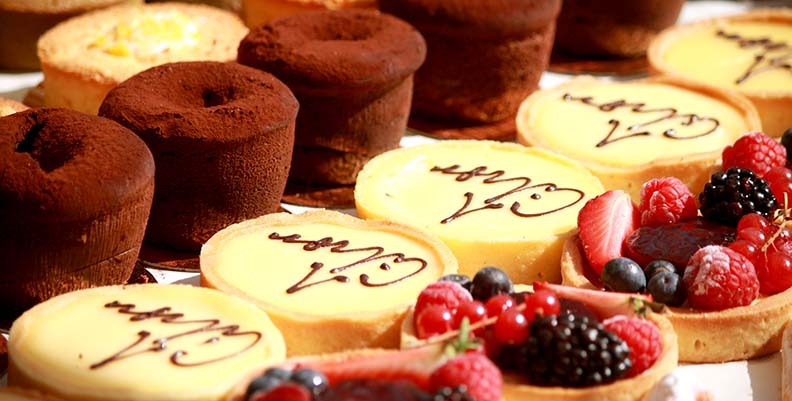 One of London’s leading producers of lovingly hand-crafted bread, cakes and patisserie, they supply outstanding produce to the most dynamic and discerning establishments in London. These include top restaurants, hotels, delicatessens and food-halls, amongst others. Using knowledge and techniques passed down and finessed over countless generations, they bake from scratch using natural ingredients, and all our bread is shaped by hand. Caring for the environment and creating a sustainable existence are integral, driving forces behind how they run their business. The provenance of their ingredients matters to them, and they pride themselves on having forged relationships with a number of suppliers over the years who share our values and ethos. 100% of their food waste is either recycled into animal feed or donated to local community projects. All food resources are precious, and it is important to them that they treat them as such. 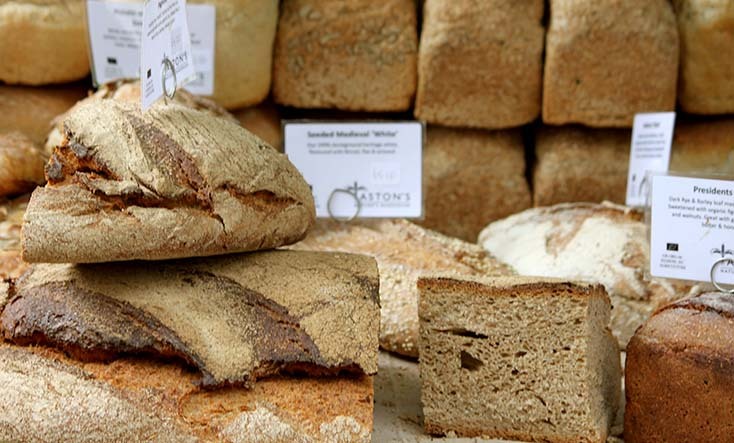 Using natural leavens, and the simple ingredients of flour, water and salt, they create a wide range of sourdoughs, from young, creamy and sweet loaves to the more mature sourdoughs which have a real kick to the flavour. Not using yeast in their sourdough breads also makes them easier to digest. 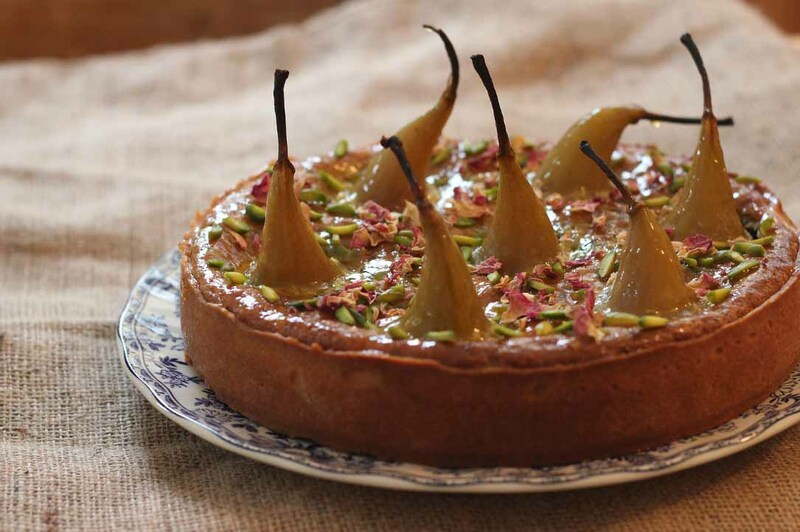 Their beautiful range of pastries and cakes are also made fresh each day on site, with authentic methodology and scrupulous attention to detail. 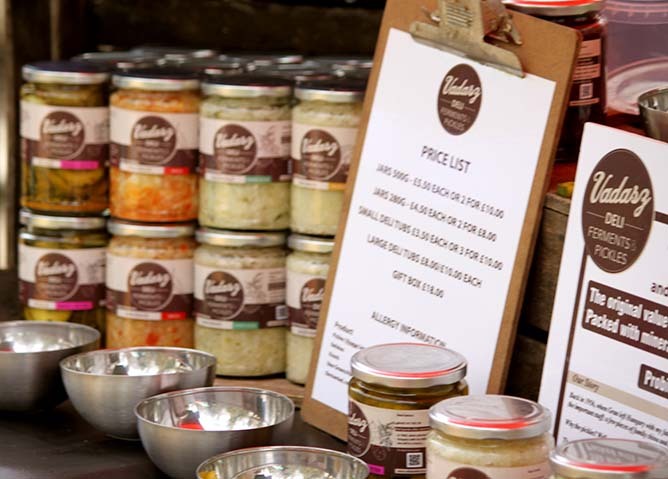 Vadasz Deli specialise in lactic Acid fermentation - their sauerkraut, kimchi and pickles are traditionally cured using English cabbage, natural salt and spices. Based in Hackney, East London, they have been brining since 2011. 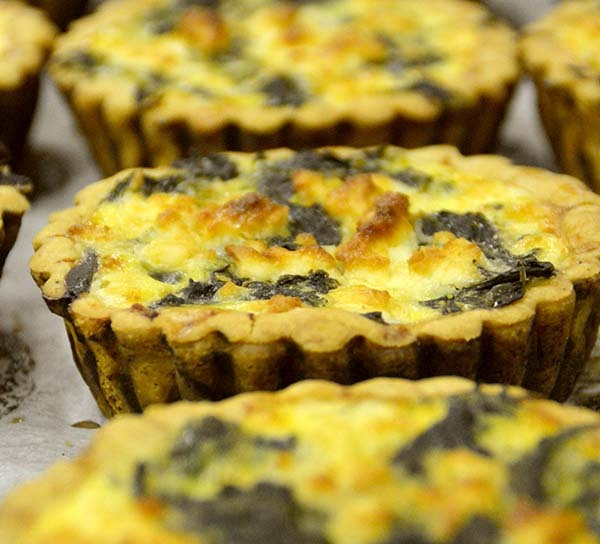 Their recipes are inspired by their family’s history and Hungarian Jewish heritage. their New Greens/1/2 Sours are based on the pickles Nick Vadasz’s Grandmother would make every the summer and have been received with great enthusiasm at the markets, respecting a long but now diminishing tradition of Jewish delis serving such pickles in London. Fascinated by the taste and smell of sauerkraut and pickles from an early age, Nick is still excited by them and the magical process of lactic acid fermentation; transforming simple vegetables into something special; adding value, taste and preserving tradition. 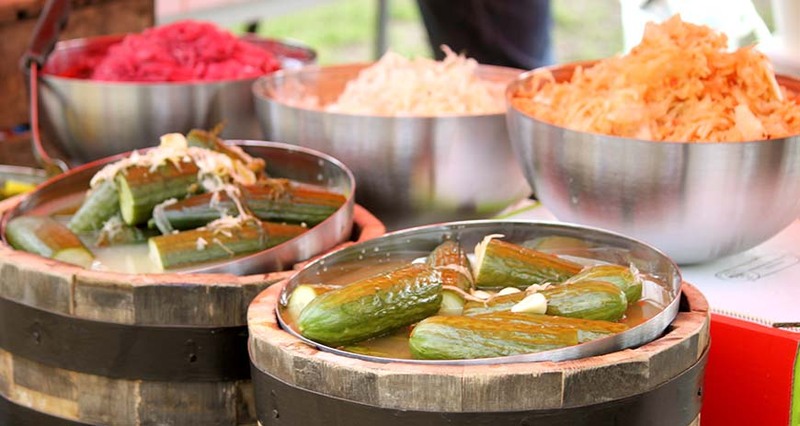 Pickles, especially Sauerkraut and Kimchi, are original value added food heroes and there is also a growing interest in the health benefits of krauts and kimchis and the role of good bacteria in our diets. Nyborg's Kitchen on Shooter's Hill in South East London bakes Danish Ryebread & Cinnamon Buns in small batches using family recipes & organic English milled flour. Alexandra Palace, Oval, and Herne Hill markets. The Padfields have been farming at Park Farm in Somerset since 1914. They make award-winning organic cheese with milk from their own herd of Friesian cows. The organic dairy farm is situated just outside Bath around the village of Kelston. The three cheeses always on sale at CCFM are: Bath Soft Cheese, a soft cheese similar to camembert that dates from Admiral Nelson time; the Wyfe fo Bath, a nutty and sweet semi-hard cheese similar to a Gouda; and the Bath Blue Cheese, which won 'Best Cheese in the World' at the World Cheese Awards in 2014. The cheese is currently made in the same stone building where cheddar was made back in 1920's. 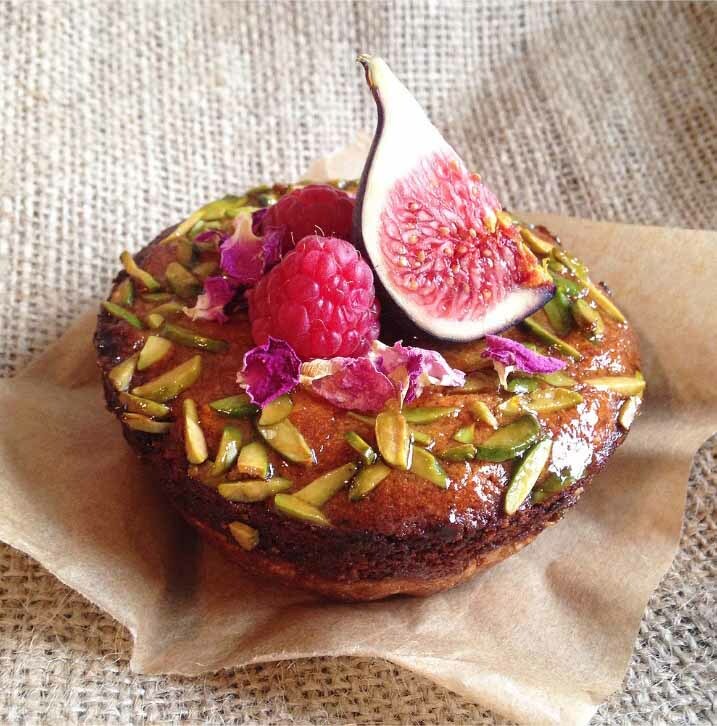 Artisan Foods is a small independent bakery in Hackney Wick, East London. 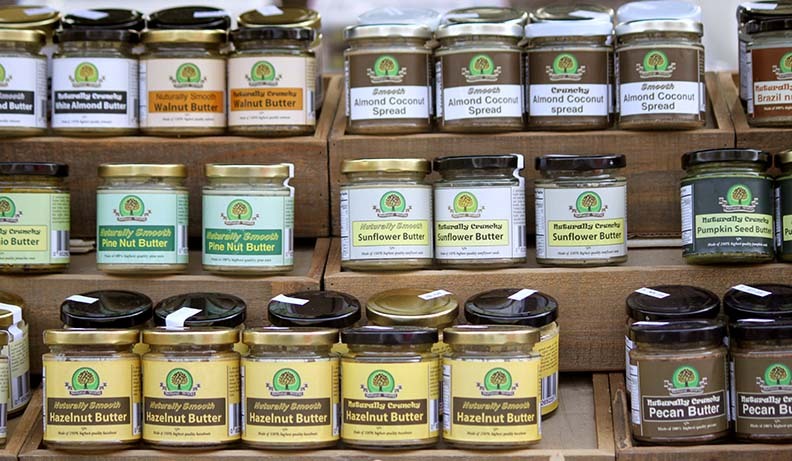 All their products are handmade from scratch without preservatives and artificial flavours. Just time, high quality ingredients and expertise give their products their great taste. They believe in good ingredients and traceability therefore they source as many of their ingredients as possible from local trusted producers: flour from Shipton Mill in Glouchestershire and FWP Matthews in the Cotswolds, seasonal English fruit and veg from Teds Veg in Lincolnshire and tomatoes from The Tomato Stall on the Isle of White, English free range eggs from hens who can roam about the field from dawn till dusk pecking, scratching and running about, and Yeo dairy products from local English farms. WhamBam-Mother Bhumi pride themselves on making the best bhajias and pakoras that money can buy and they are cooked right in front of you. They buy in wholegrain rice, lentils and spices, grind them themselves, mix up the batter, dip in some seasonal local organic veg, pop them into some sunflower oil and hey presto! They are irresistibly delicious nutritious allergen-free snacks which everyone can enjoy with a choice of dips to really tickle your tastebuds. If you can't eat them right away then you can take a cold bag home to reheat and maybe even tell your friends you made them yourself! They are at Herne Hill market twice monthly and have been in the pakora business for 16 years now. It might seem crazy but they really do get better all the time! For those who care, they also have a very vigilant environmental policy which means they serve you on biodegradable trays and compost or recycle/reuse much of their waste. They use their sunflower oil once or twice only and then it becomes biodiesel. They are also gluten-free and vegan. This is food for the future! Natasha made her first bottles of cordial from an Elder tree by her allotment. At the time she was working for a consulting firm and needed a creative outlet to escape her boredom. She found herself foraging for more fruits in London, with bemused passers-by observing as she shook apple trees to get the juiciest fruit from the top of the tree. With her first batches of cordials ready she stumbled into a farmers’ market, and when her entire stock of hundreds of bottles was sold over just a couple of weekends, what started as a fun idea suddenly felt like it could be a viable venture. The Urban Cordial Company has moved on from foraging to buying their fruits from farms around London. Natasha and her team make their cordials by hand using only fruits that are in season. As a consequence, each batch is a little bit different, and the flavours rotate throughout the year to reflect the seasons. Gary Sycamore sells his locally grown fresh produce – vegetables, fruit and flowers in aid of a nearby charity. The Harington Scheme in Highgate, now in its 35th year, is a horticultural training scheme for young adults with learning difficulties – charity no. 279376. Their motto is “Learning to Grow, Growing to Learn”. The Fermor family has been growing delicious fruit and vegetables in Kent for four generations. Initially specialising in top quality fruit, strawberries, apples and pears (of which over 250 varieties are grown) they have expanded their expertise to most fruits and an increasing range of succulent vegetables. In addition to this, Tom and Charles Fermor are making dried fruit crisps, fruit leather, and fruit juices. The farm was the first to promote “Try before you buy”, to encourage shoppers to taste the wide range of flavours available in their products. 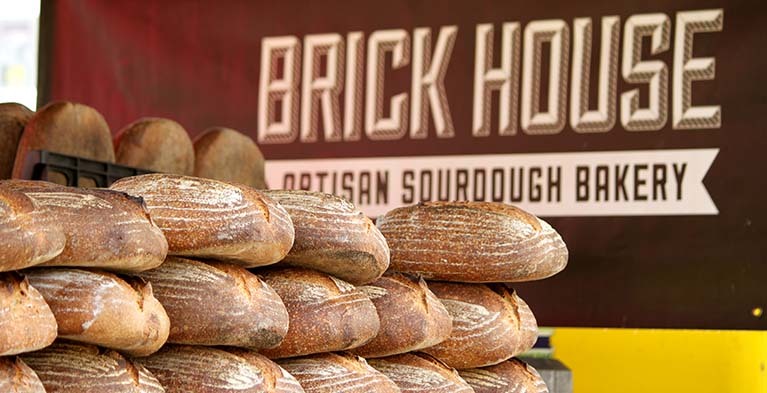 Brick House is an artisan bakery based in East Dulwich, South East London, run by husband and wife team, Fergus and Sharmin Jackson. 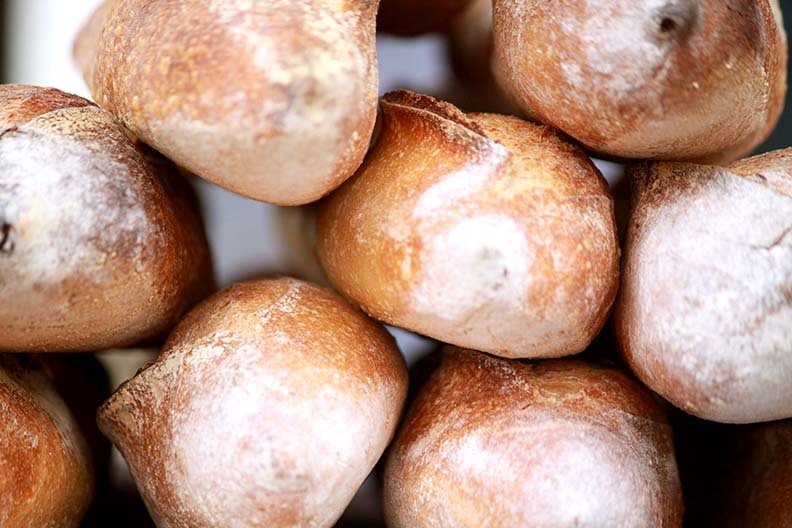 Their bakery specialises in San Francisco style slow fermentation sourdough breads, made using traditional methods and just a few simple ingredients; flour, water, sea salt and naturally occurring yeast. All Brick House's loaves are hand made over two days, baked on stone, and use organic flour and other wholesome ingredients including nuts, seeds, grains and dried fruit.. Their Peckham Rye is the current holder of the Real Bread Campaign’s London Loaf, and won several awards including best baguette at last year’s World Bread Awards, and were named one of London’s top 5 bakeries in The Financial Times Weekend Magazine. As well as their weekly stall at Herne Hill market, Brick House has recently opened their first bakery cafe on Zenoria Street, London SE22. Limpopo are specialists in dry cure meats. Director and Founder Francois Van Der Zee has been in the farming business for over 30 years, both here in the UK and as a game farmer in Limpopo, South Africa. 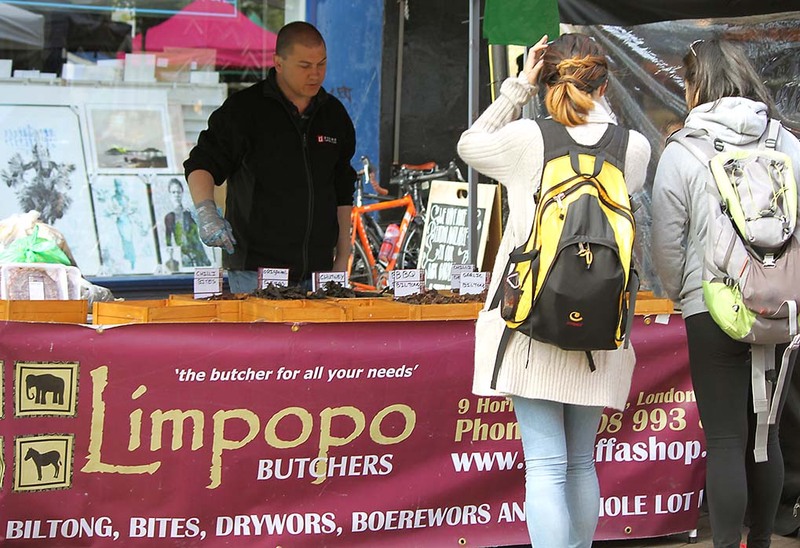 Using both his own experience and his father’s experience in dry cured meats he established Limpopo Butchers with the aim of sharing his expertise in the art of South African charcuterie. 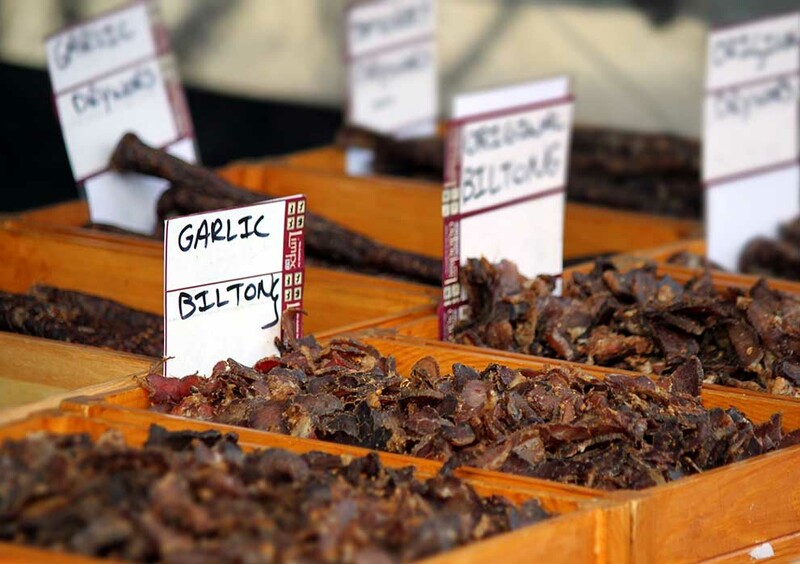 All of Limpopo’s Biltong, Drywors and Bites are old family recipes. Limpopo uses only prime, whole cuts of meat to craft his products. With Limpopo you can be assured of top quality products, genuine craftsmanship and, most importantly, unbelievable flavour. Drum & Kernel are London's kettle popcorn people, making high-quality sweet-and-salty gourmet popcorn live at markets and events in a giant stainless steel kettle. Their popcorn is high quality, always fresh and incredibly moreish. The kernels are mixed with molten sugar and pop at over 200 degrees to produce a huge, crisp popcorn which the sugar caramelises around. They then pour it out, sift it through to get rid of any unpopped kernels and those annoying bits that get stuck in your teeth, give it a dusting of salt, and bag it up fresh. Their popcorn is vegan, gluten- and nut-free and made with non-GM corn. 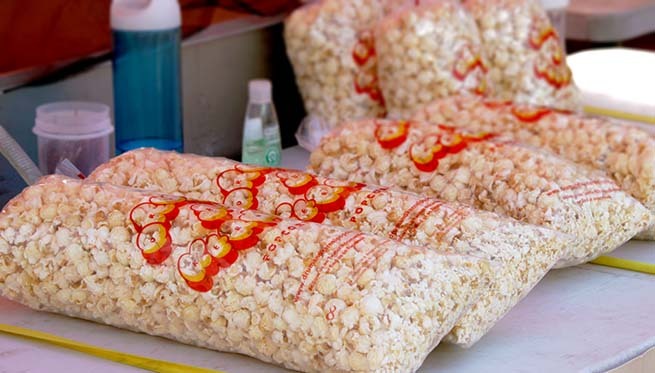 They make all their popcorn live at markets, creating a large amount of noise and an amazing sugary smell which travels down the street! 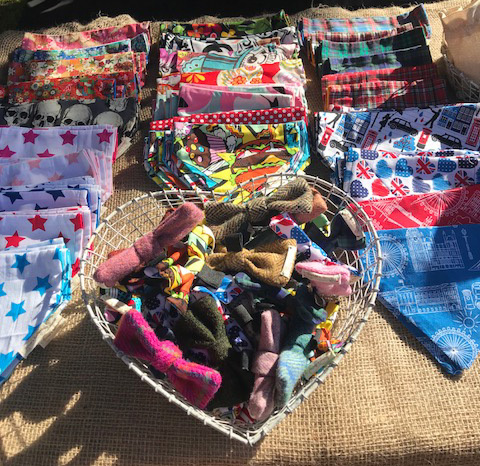 They attend a mix of regular markets including regular pitches at Herne Hill Farmers Market and Alexandra Palace Farmers' Market, as well as a range of pop-up cinema and other events and festivals all over London throughout the year. Manor House Gardens and Eltham markets. Steve Page has been making Sauces and Preserves for 8 years under the CareGrow name. His speciality is using Chilli Peppers, all of which are grown in his back garden in Eltham. In 2010 he started entering some of his products in The Great Taste Awards, run by the Fine Food Guild, and, to date, he has won 7 Gold Awards including the much coveted Triple Gold Award, which he received for his Triple Citrus Marmalade. Steve also grows a variety of fruit and vegetables, which he uses in his products, and tries to source raw materials from farmers at the markets he attends. His products are gluten-free, dairy-free and salt-free, and do not contain any artificial ingredients. Oval and Herne Hill markets. 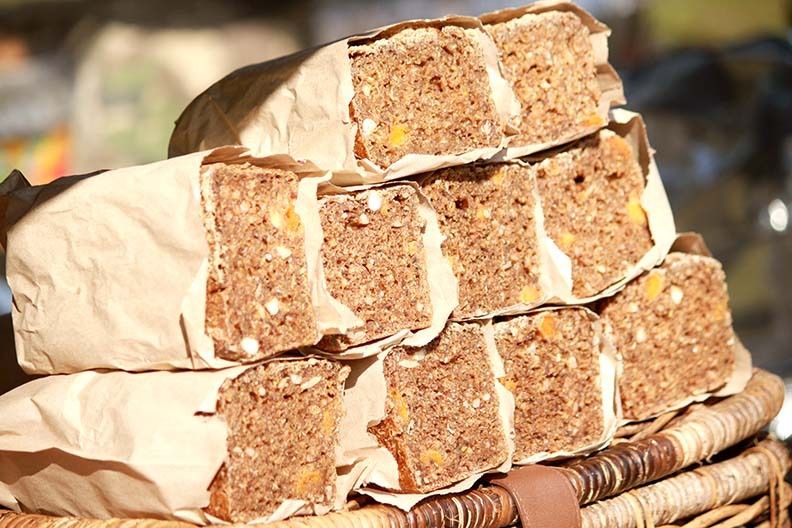 The Real Loaf believe that gluten free shouldn't mean taste free, but tasteFULL! There are thousands of seeds and nuts packed into one Real Loaf. 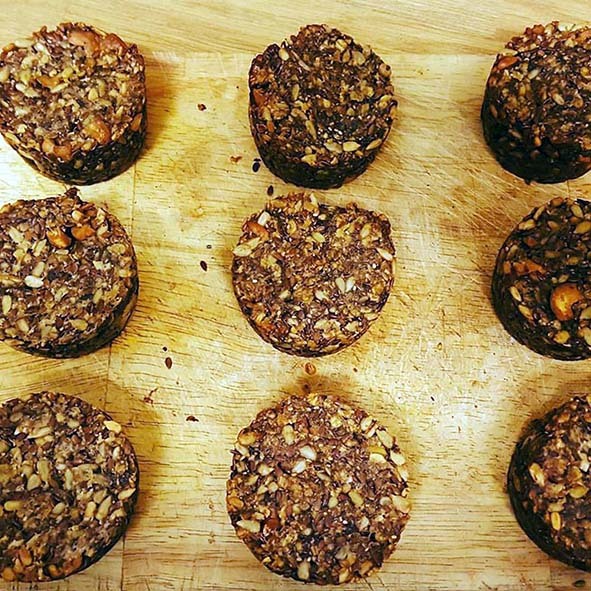 It’s the perfect blend of sunflower, chia and flax seeds, crushed almonds and toasted cashews, with just a handful of rolled oats and a spoonful of olive oil to hold them together. No flour, no wheat and no dairy to be seen! Morgan’s are situated in the heart of Mid Wales and are a well established family business. They were founded in 1999, to run alongside the family live stock purchasing and farming enterprises. Originally based in Brecon, the second premises opened its doors in Builth Wells in 2001. 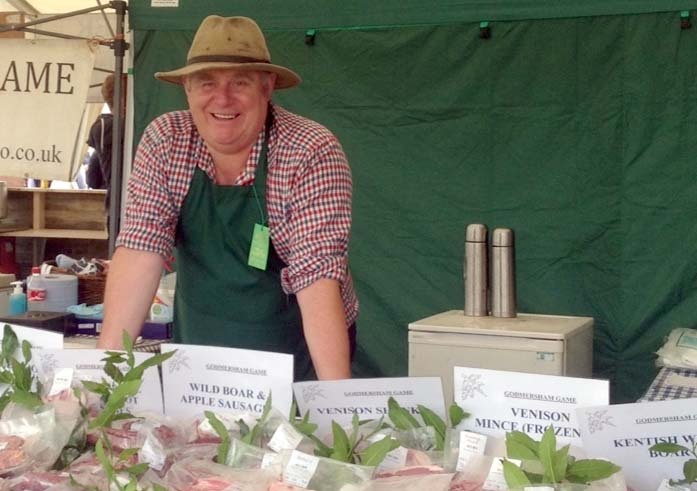 In 2009 under the High Meadows welsh beef and lamb banner the business expanded into farmers’ markets - they are a guest producer at Alexandra Palace twice a month on 2nd & 4th Sundays. Over the years Morgan’s have won many industry awards. Most recently in 2014 their products won a total of nine gold awards. Four of which were for their bacon - home cured, dry cured, farmhouse cured and sweet cured; one for a beef burger with caramelised onion and four for their sausages; plain farmhouse sausage, pork, leek and ginger sausage, pork and leek sausage and a Christmas festive sausage which consists of pork, apple, herb and cranberry. Blowing Dandelion make the most exquisite chocolates! 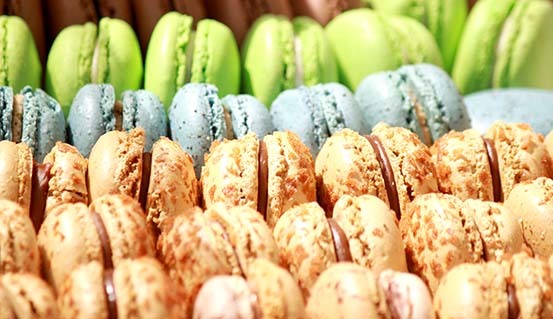 They use the most fresh & ethically produced ingredients they can to make unique and tasty treats for all to enjoy. The chocolates are freshly made in small batches so the customer will receive them at their very best. 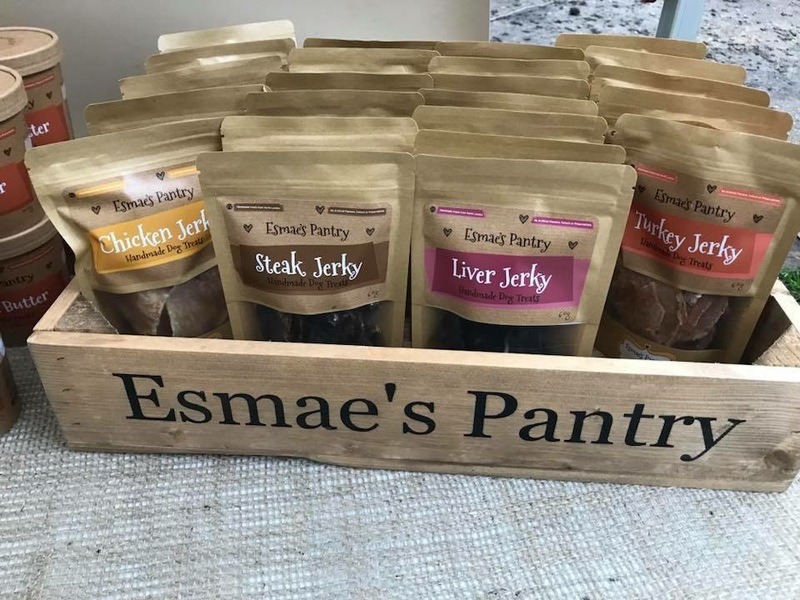 Esmae’s Pantry is a family run business started by Heidi and her dog Esmae. They truly believe in the importance of their treats being healthy and freshly prepared and want this love and attention to detail in every bite. Esmae’s Pantry is a hit with the local Ally Pally dogs and you can often see a queue of dogs lining up for all the latest offerings, especially their famous Whipped Liver ice-cream. If it’s biscuits, antlers or dog jerky, Esmae’s Pantry is the place to bring your dog. Lovingly prepared in their North London kitchen. 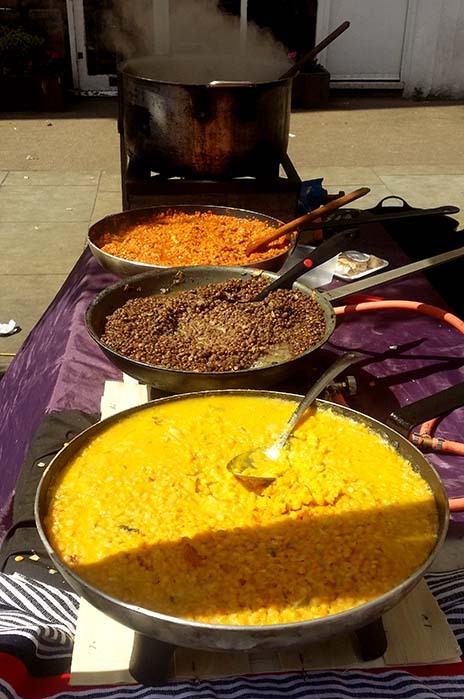 Ayda Samuel is originally from Ethiopia and she has been preparing and selling delicious traditional Ethiopian food at Herne Hill market for the past two years. Arlene comes from a family of bakers and cake makers - her mother was a great West Indian cake baker. In the 1960s each weekend, her resourceful mother would bake cakes for most West Indian celebrations. Arlene is a therapist, yoga teacher, birth-worker, doula and beekeeper. 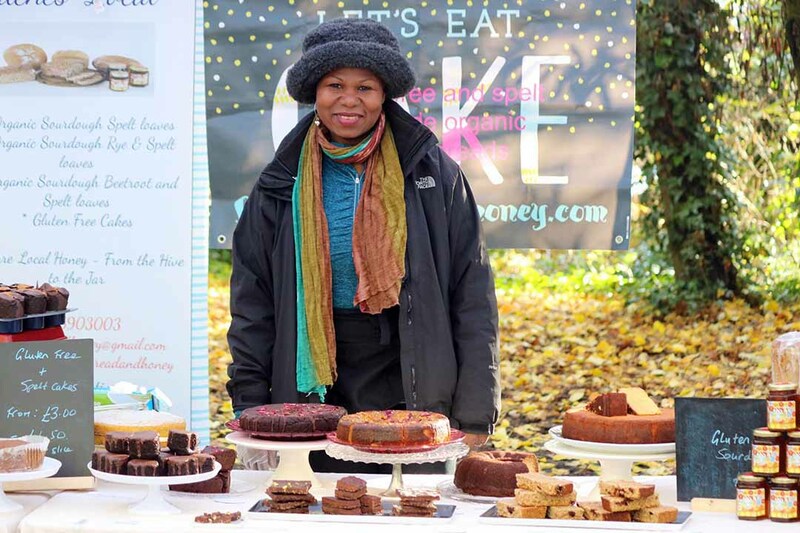 She now also sells her very different cakes at farmers markets in London. Arlene started beekeeping in 1998, after inheriting a hive when she bought a house in Chingford. Depending on the season, she harvests approximately 300 pounds of honey, and as such is able to maintain the quality of the local honey that she sells. This untreated, raw, unpasteurised honey is sold locally or at markets in London. 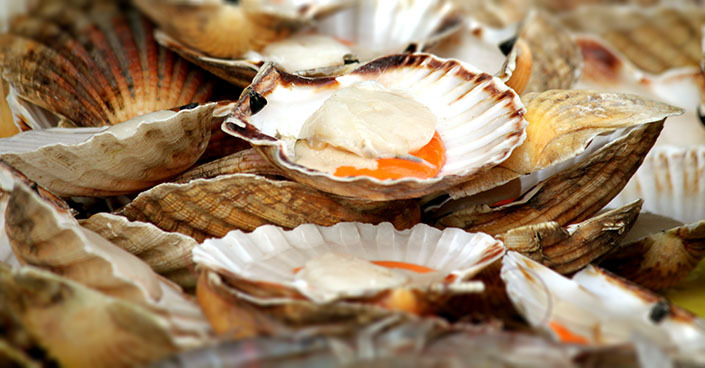 The Portland Scallop Co started life 15 years ago with Jamie Walker and two other divers harvesting King Scallops in and around the Lulworth Banks of West Dorset. They have over the years through local fishermen added a vast array of seasonal fishes with our wild line-caught bass proving very popular. They bring sole, turbot, black bream, gurnard and mackerel and, in season, they have wonderful crab & lobster. They also sell smoked cod and mackerel and their award-winning pates are also very popular. As seasons change so does their range of fish, samphire is available June-July. Their dived scallops recently won Gold At Taste of the West awards and they bring these to market schucked and ready to go. They also fillet, skin and clean on their stall and are only too willing to share cooking tips. They recently acquired a new boat and will be catching line-caught bass of Portland next month. 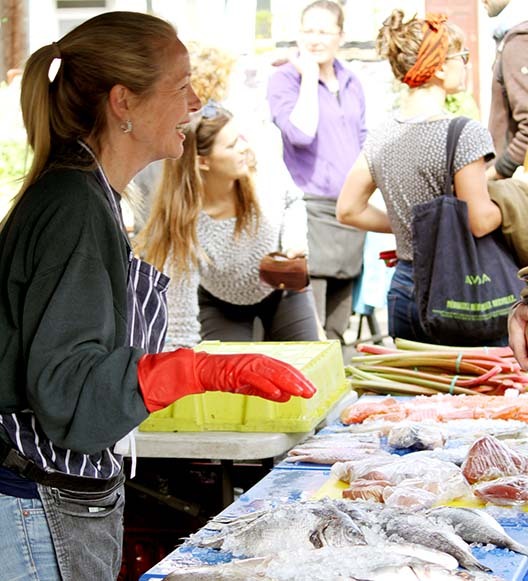 Soon they will also be demonstrating fish prep and cooking on the stall once a month - watch this space! 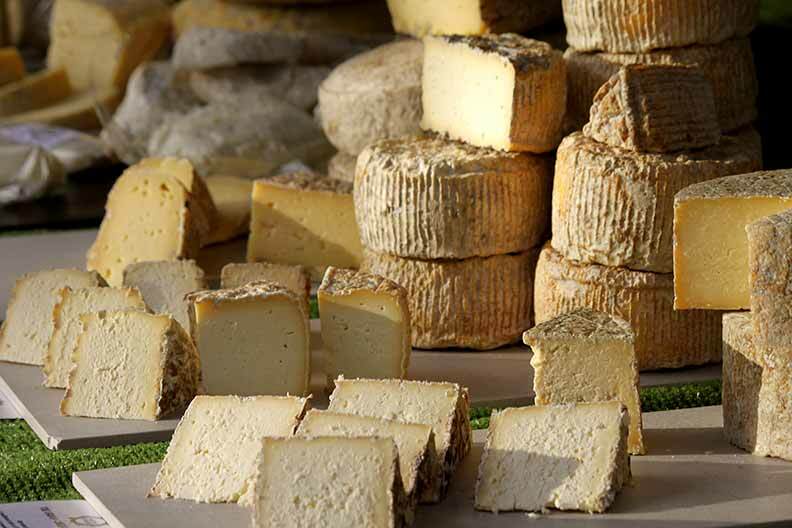 Wildes Cheese is a micro – dairy based in the heart of North London. 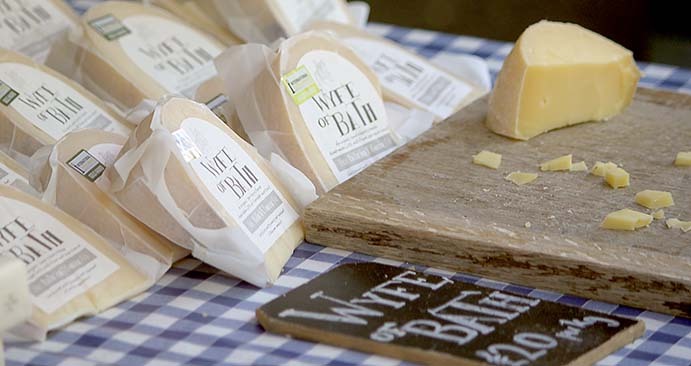 Wildes Cheese started in June 2012 by Philip Wilton when he was made redundant from his job. We now supply a number of restaurants and deli’s across London. They sell direct to their customers at Borough and Alexandra Palace markets. All their cheeses are made using traditional methods without the use of additives. Wildes only buy milk from a single source and they pay the farmer a reasonable rate for his milk (the milk is far superior and expensive compared to the supermarkets). They make a range of cheese ranging from soft flavoured curd through to more traditional hard pressed English regionals. All the cheeses are made to their own secret recipes. All their cheese is vegetarian and made from unhomogonised and pasteurised milk. 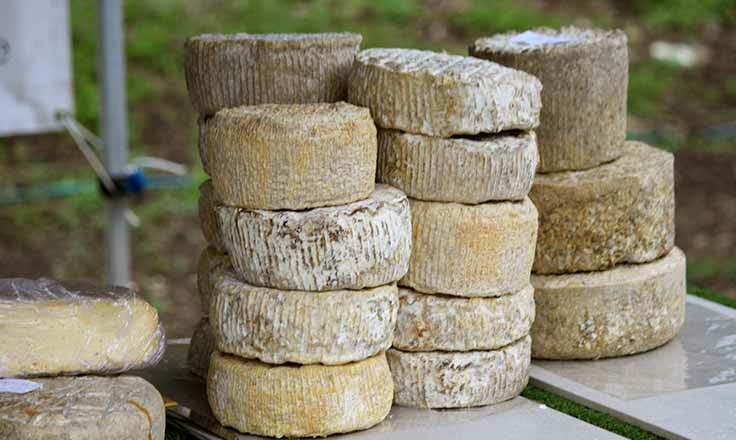 Wildes also run cheese making courses from their dairy in Tottenham North London. Sign up for a newsletter at www.wildescheese.co.uk. 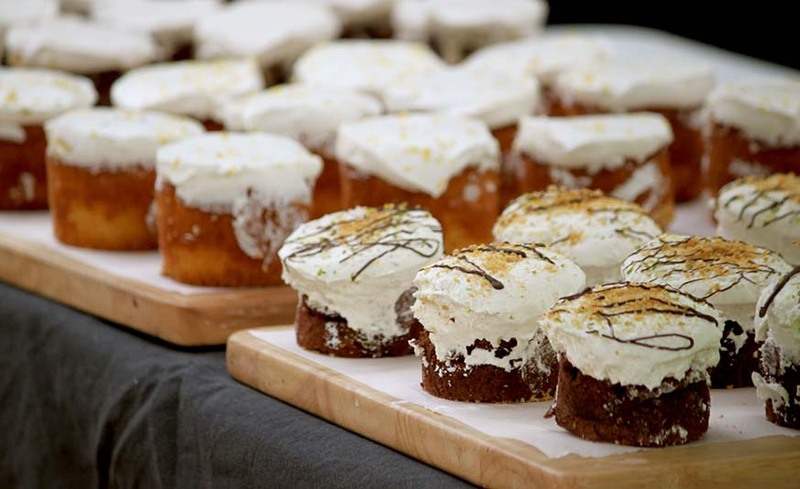 In 2011 with but a bundle of hand baked treats and a humble market stall, two sweet toothed pioneers sought to change the baked good trade of London - and did. Today the Galeta range boasts eight flavours of cookies, a wide selection of yummy cakes, the infamous cronut, award winning brownies and pasties de natas. 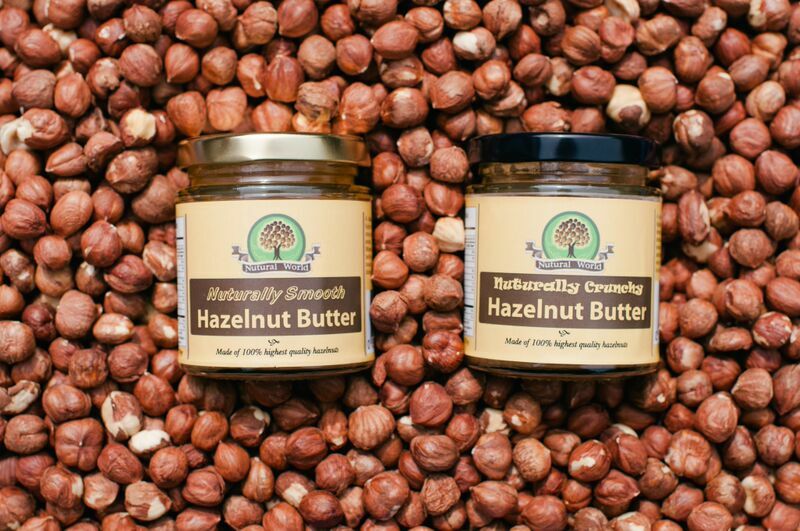 All products are still baked by hand using 100% natural ingredients. 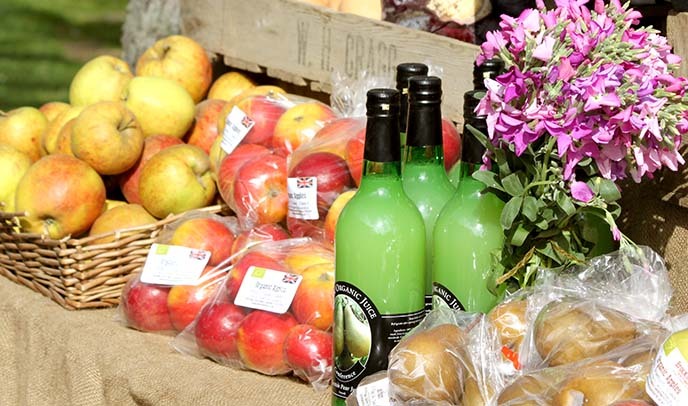 True to their roots, Galeta can be found at several farmers markets as well as delivering daily to more than 200 delis, cafes, restaurants and doorsteps across the UK. Herne Hill market. Also a guest producer at Alexandra Palace market. Andrew and Emma Nielsen are small, artisan winemakers from Burgundy, France. Splitting their time between their home in London and their ancient winery beneath the walls of Beaune, they make all of their wines by hand, aiming for wines that are expressive and delicious, from under appreciated vineyards in Burgundy and Beaujolais. In the past year, they have been named one of the “Top 25 Négociant Winemakers in Burgundy” by Master of Wine, Tim Atkin and a “Top 10 Unsung Winemaker” by Burgundy expert, Bill Nanson. 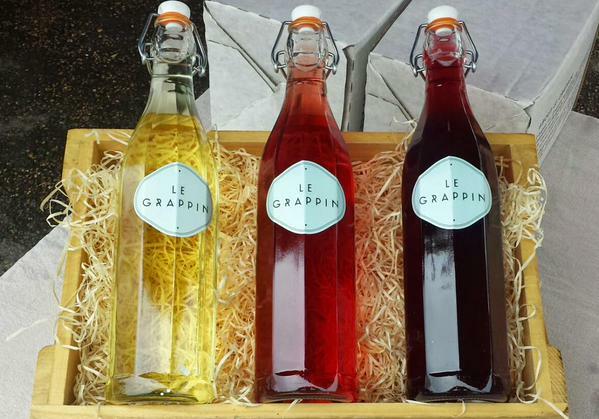 Their Du Grappin range of wines are made with Summer days in mind and are available by refillable bottle, #Bagnum and Bag-in-Box; packaging that reduces carbon foot-print by up to 80% compared to traditional glass and is wallet-friendly too. Pay a small deposit for a refillable bottle or bring your own sealable bottle of any size from home and leave with hand made Rosé, Rouge or Blanc. Headed to the park? Don’t forget to ask for an ice cold #Bagnum. 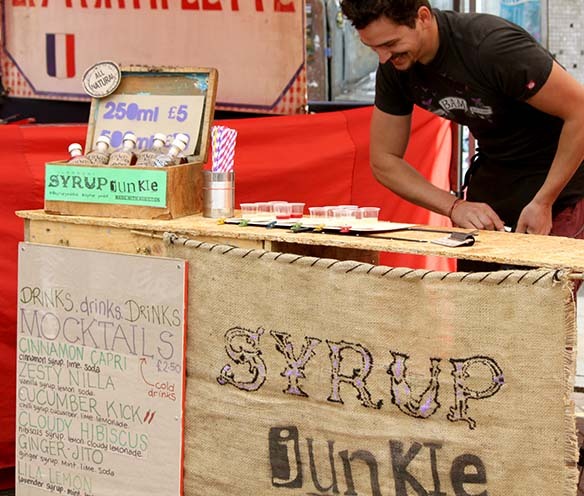 Born in South East London in 2014, Syrup Junkie arrived when cocktail bartender Laszlo wanted some more natural flavoured syrups for his creations and enlisted keen cook girlfriend Corene to get creating. Using all natural ingredients sourced from local and British suppliers whenever possible, fair-trade sugar and charcoal filtered water all the syrups are made in small batches and hand bottled and labelled. Flavours include our best seller Hibiscus, Chilli, Cardamon, Real Earl Grey, Vanilla and our Great Taste award winning Ginger as well as new and seasonal flavours on a regular basis. 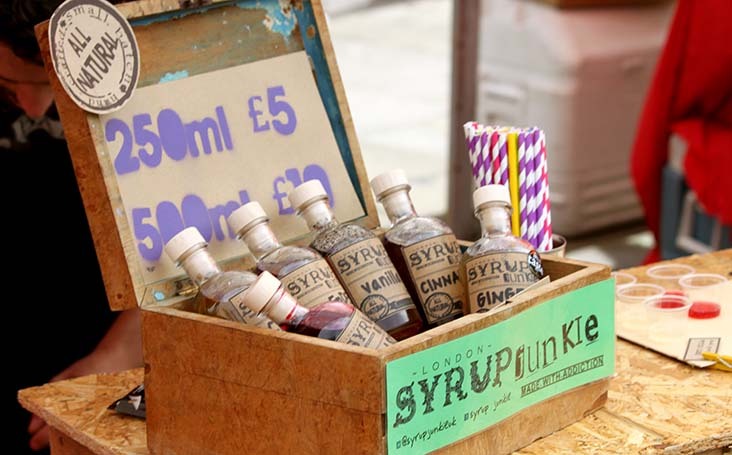 All bottles of syrup are sold with a recipe card to get you started with your own experimenting, not only with cocktails, but all kinds of hot and cold drinks and kitchen creations. Mocktails are also available at the markets, so quench your thirst with one of our yummy varieties, made to order at our market stand. 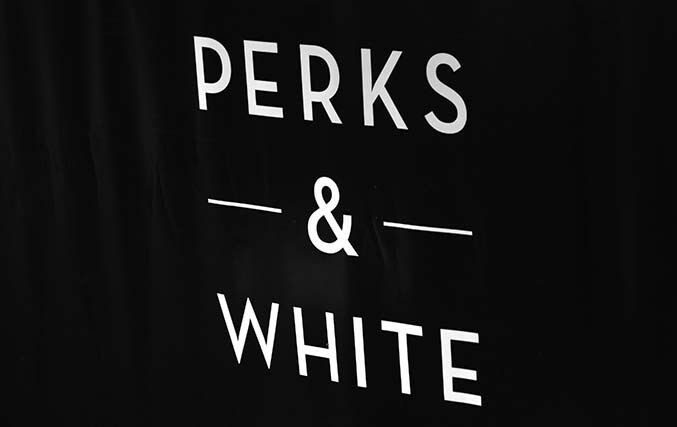 Perks & White are a local trader based in Herne Hill making the finest organic fairtrade coffee, tea and hot chocolate. Owned and run by Local residents of 20 years, they are committed to building a community-focused business. They use small batch hand roasted coffee from the Volcano roastery in West Norwood. 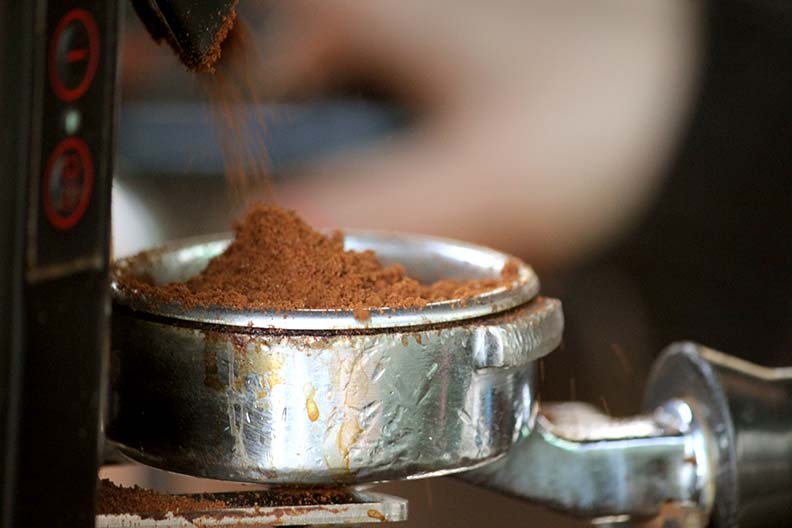 The beans are directly sourced from Peru, organic and Fairtrade. Their Hot chocolate is made from fantastic Coco Loco organic hot chocolate from West Norwood. Their tea is Organic Tea from a family company in Sydenham. 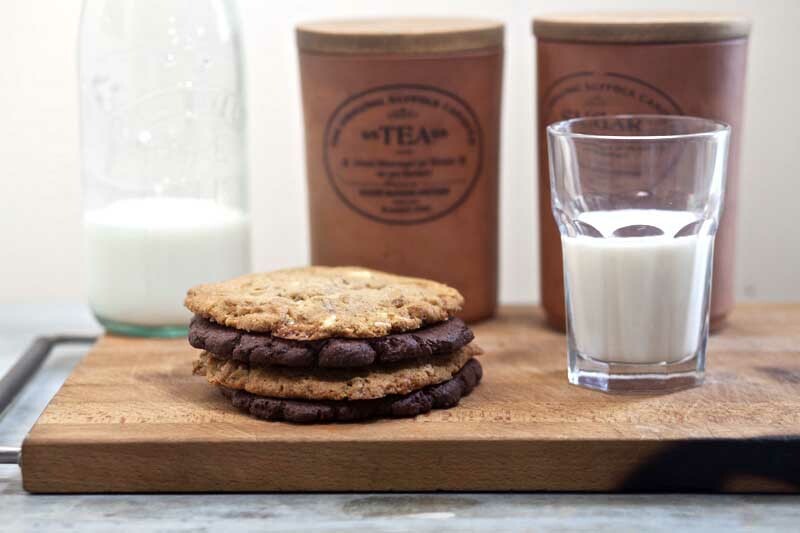 They use Organic milk sourced directly from Goodwood farm in Sussex. 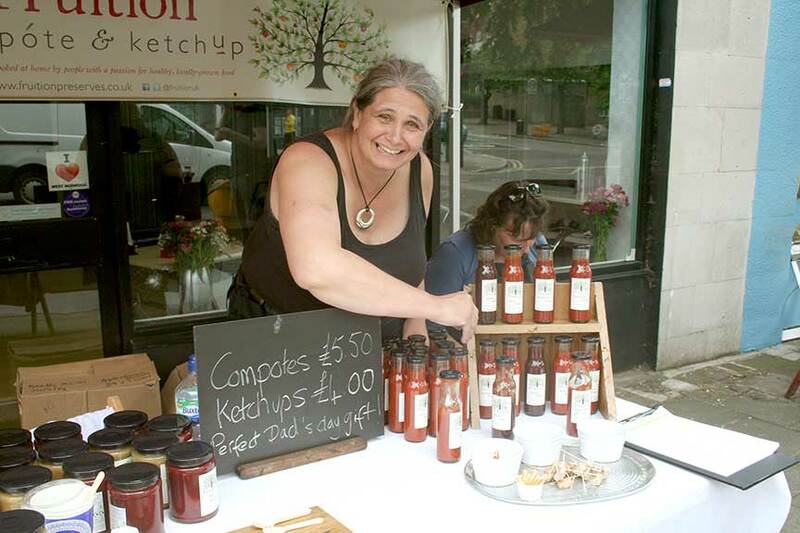 Wendy Yates launched Fruition Preserves in summer 2014. As a passionate home cook and preserver, she set about developing a delicious range of artisan preserves but with a difference...fruit compotes and handmade ketchups. Fruition now offer a range of four flavour-packed ketchups (with lower sugar & salt and no artificial preservatives), eight French-style fruit compotes (gently stewed, sweetened & delicately flavoured), a sumptuous granola (rich mix of oats, nuts and seeds coated in apple compote & honey, gently toasted and finished with juicy raisins) and a range of special Christmas products. Primary ingredients are seasonal and wherever possible sourced from farms in Kent and Sussex and all products are cooked in small batches at home in Clapham, London SW4. Fruition is passionate about local, flavourful, natural food. You can find us every other week at Herne Hill Market. Alexandra Palace, Oval, Manor House Gardens and Herne Hill markets. 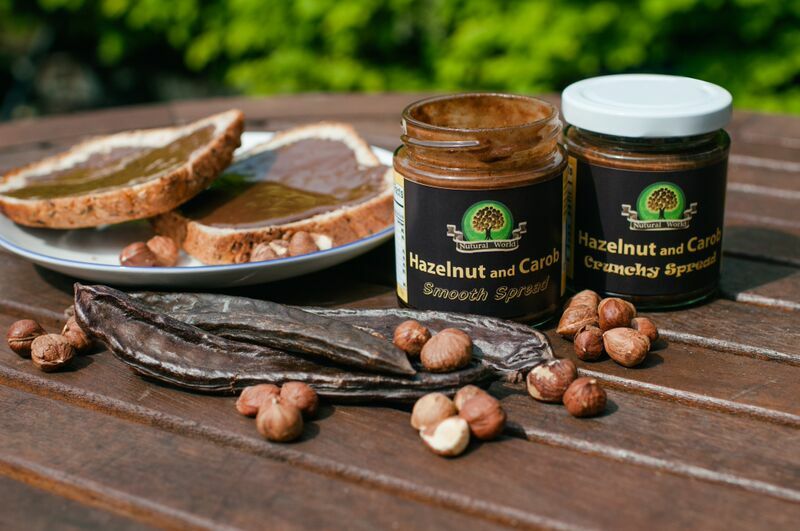 Med Foods have been running their family business based in the north west London for more than 10 years . 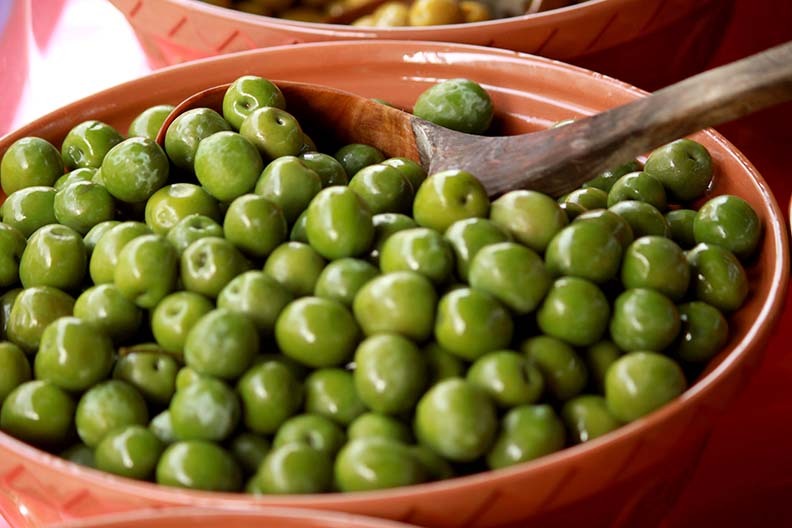 They offer the finest selection of olives from Greece, Italy, Spain, France and Turkey for their weekly markets. 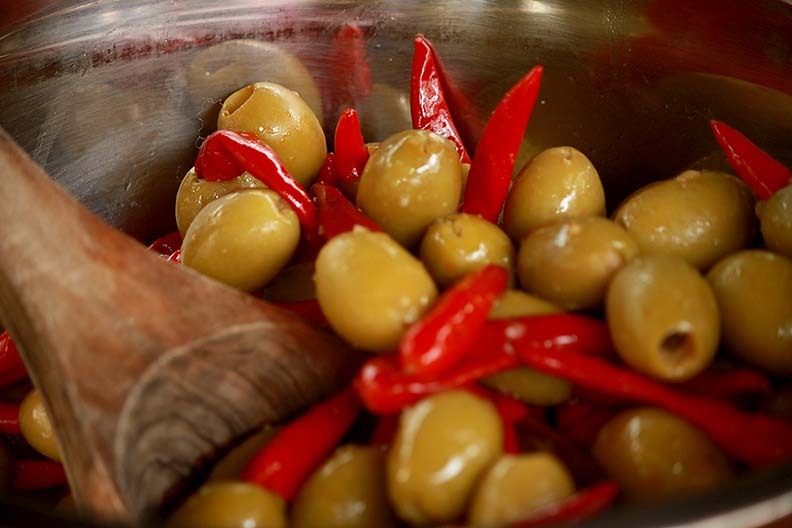 They marinate Olives, Sun-dried tomato, Artichoke and Antipasti products for our weekend markets freshly every Friday. Their initial dream was to provide the highest quality foods for the locals to enjoy. The happiness of their customers is their main priority and they pride themselves on being able to fulfil their customer’s needs with delicious and healthy Mediterranean foods. Alexandra Palace, Stepney, Oval, and Herne Hill markets. 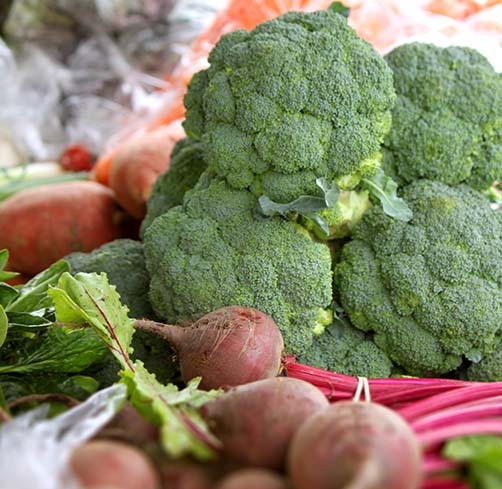 Brockman's Farm produce is run by one of the oldest organic and Bio-Dynamic Farms in the UK. Perry Court Farm at Garlinge Green near Canterbury (not be confused with similar named farms) begun in 1953 where previous generations of the family started converting it to organic methods. The Kent based farm is now managed by Patrick Brockman, a third generation farmer who has been farming using organic methods since his very first day. Patrick says “that after 6 decades of organic management our soil is as fertile and free of agro chemicals as is possible”. 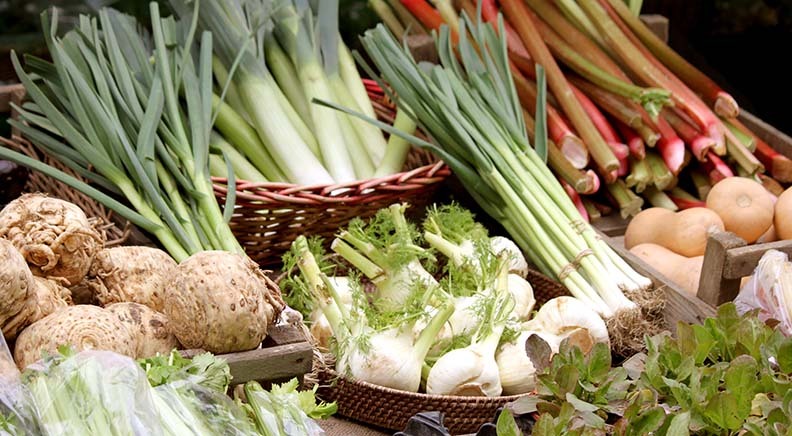 They specialise in the production and supply of Organic, Heritage and Wild varieties of vegetables, salads, fruits, herbs and additional select produce with crops grown over approximately 45 acres of Fields, Polytunnels and Glass House. They focus heavily on harvesting our leaf and salad crops within 24 hours of them arriving at market, thereby maintaining one of the shortest supply chains and the freshest produce. They also work closely on cropping and marketing for a number of small partner farms who share the same values as us in terms of quality local organic produce supplied direct to consumers. This enables a viable outlet for the partner farms and supplies them with crops not suited to our own soils. Their market staff also share our passion for Organic and Bio-Dynamic produce and are an incredibly knowledgeable and well informed bunch who love talking vegetables! Nick & Jacob at Fosse Meadows run a high welfare, slow grown free-range chicken farm in Leicestershire. The key difference with our chicken is the age that we grow it to – 81 days minimum. This is 4 weeks longer than normal free range and a couple of weeks longer than organic. This produces a super tasty chicken – like chicken used to taste with flavour and texture to the meat. Come Christmas, geese, cockerels and turkeys are on the scene, again all grown slowly for more flavour. Our Chickens have been recommended by James Martin on Saturday Kitchen, and by Diana Henry – local resident to Ally Pally farmers’ Market and author of ‘A Bird in the Hand: Chicken Recipes for Every Day and Every Mood’. Gupta’s have been established in the manufacturing of Indian food and sweets business in North London since 1979. Husband and wife team Rakhi and Rikki Gupta joined the street food market scene two years ago with their aim being to bring their traditional authentic food available to all. Food is their passion! At Gupta’s their mission is to bring to all their “generations old” authentic Northern Indian recipes using the best quality locally sourced ingredients possible. 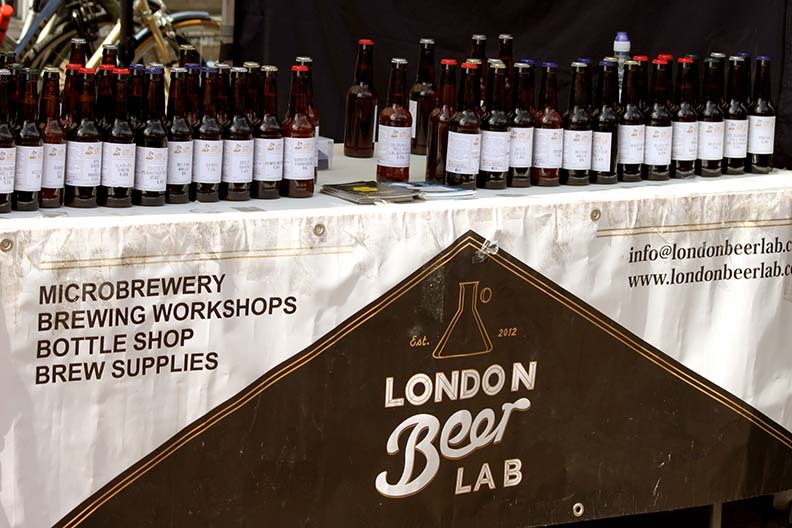 London Beer Lab was established in 2012 to offer brewing workshops to craft beer enthusiasts in London. Since inception, thousands have got to grips with mashing, sparging and hopping at their premises in Brixton. Experimentation has always been high up on the list of priorities and led to a flurry of original brews drawing inspiration from cutting edge brewing techniques as well as traditional and sometimes forgotten methods. As the UK's first open source brewery their recipes are published online for others to recreate and experiment with. 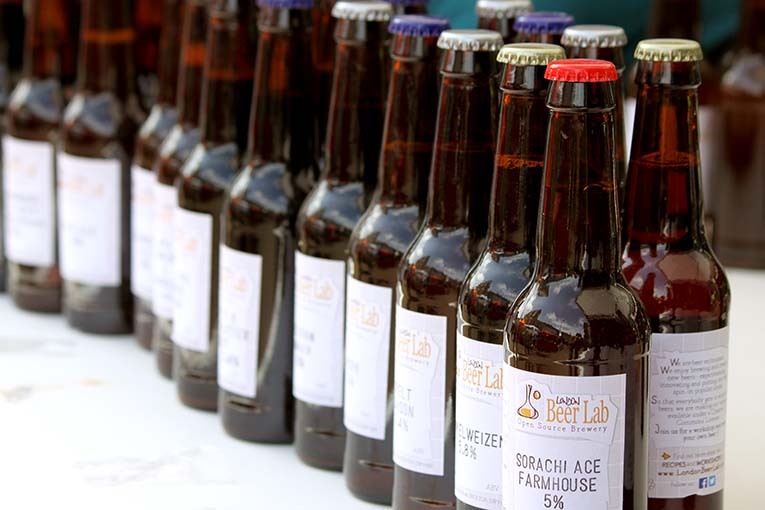 They've recently opened a commercial brewing site in conjunction with Clarkshaws Brewery at The Beer Hive in Loughborough Junction with an onsite taproom open every Saturday from noon until dusk. Alexandra Palace and Oval markets. Ebru from Ebby’s Kitchen has always loved cooking and after having her own children she really took the opportunity to explore authentic Turkish food, the way her mum and grandma used to make. She loves adding her own twist to traditional dishes and working towards perfection. 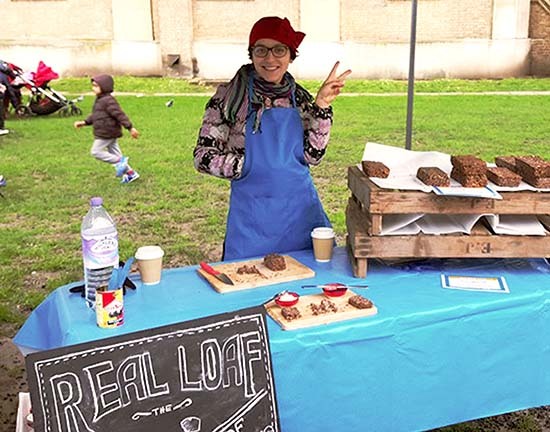 Discovering Ally Pally Farmers’ Market was the inspiration she needed to take the next step. Ebby’s Kitchen started at Alexandra Palace on a sunny day in September and they remember the warm welcome they received from traders and customers alike. Quality, sustainability and provenance is paramount part of Ebby’s Kitchen. They get their free- range meat from Grove Farm in Essex, our organic ingredients from Riverdale Farm in Canterbury who also trade at the market and source their suppliers carefully. All their Halloumi Cheese is produced in the UK and they are great believers of supporting local family businesses. Their Kofte Wraps (Durum), Halloumi Wraps and loving made Meatballs and Bulgur rice are our most popular dishes. 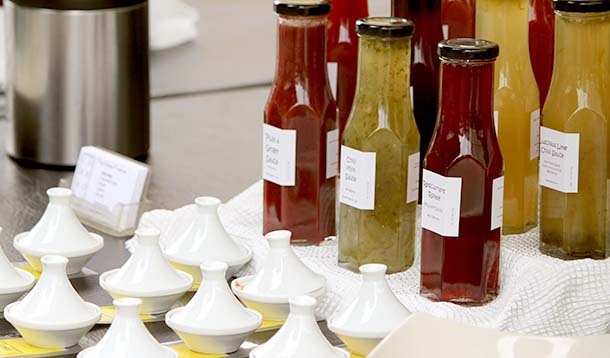 Ebru gets pleasure out of making her own organic chilli sauces and organic natural yogurt which she uses for her mint sauce and marinates all her Koftes freshly using traditional herb mix. Ebby’s Kitchen prepare the Koftes fresh on the day and work hard to deliver a good experience. They love serving their regulars and having a chat and meeting new people. Ebby’s Kitchen are NCASS registered. Edwin and Karen started the organic farm in 1996. 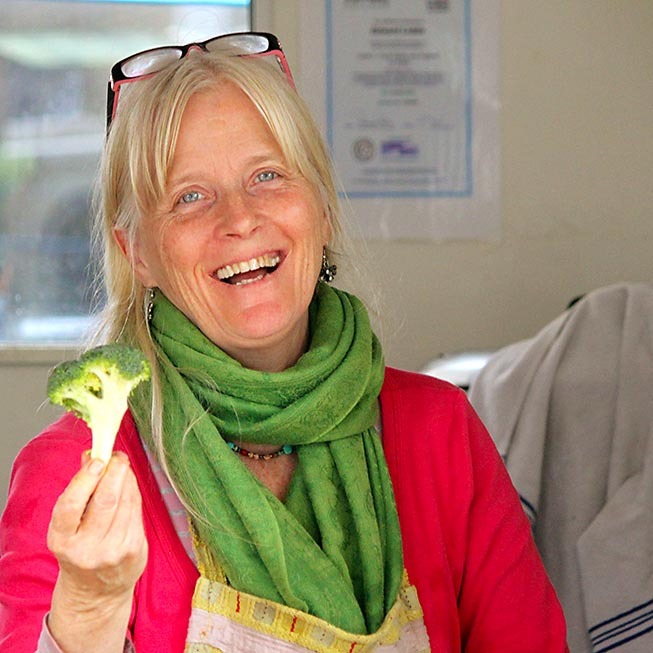 Both being trained in conventional agriculture and food production ,they believed in a better, more sustainable way to produce healthier food, both for the consumer and the planet. They grow a wide range of protected crops in the poly-tunnels from cherry tomato, herbs, aubergine through to salad crops, carrot, pak choi, spinach and chard to name but a few. Over the year they grow an average of 110 different products. Riverdale Farm are continually renovating and rejuvenating their ancient orchards to once again produce the old favourites such as Bramley, Worcester & Lord Lambourne as well as planting new varieties , specially selected for their flavour and disease resistance. Plums greengage and pear trees also feature in the orchard. They also grow more specialist crops such as french beans, spring onion raspberries, strawberries, okra, cuecmelons and like to experiment with different crops each year. These will include crops such as melons peas etc. They like to sell at farmers markets as we they appreciate the closeness to the customer and the feedback that they get from them. This also fits in with the wide range of produce that they grow throughout the year. Oval, Hilly Fields and Herne Hill markets. They recently moved out of London to enable them to sow, grow, harvest, mill and bake all their own flour and bread at Sheepdrove Organic Farm. They work with the farm to encourage the farming and reintroduction of ancient grains. 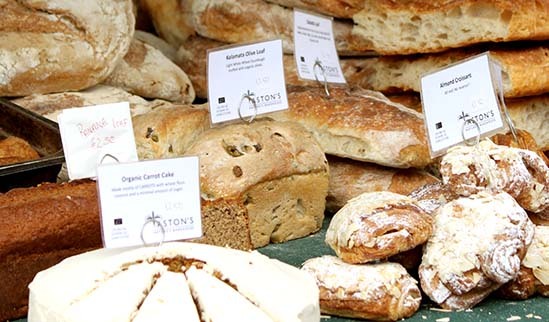 Aston's Bakery have been innovating new breads for the past 35 Years. Their portfolio of products have grown with the changing trends encouraging them to have an outstanding variety of breads, pastries and cakes. They are constantly creating new products and working with wholesale customers on bespoke products. Agua Na Boca in English means “MOUTHWATERING” and the word says it all. The owner, Andre Gailey Coutinho has been working in the Hospitality Business in London for the past 14 years. With his passion for food, he was looking to bring some of Brazil’s most popular food to the streets of London. So here it is… a food stall with a difference! Agua Na Boca sells Brazillian delicacies such as Salgadinhos (pastry savouries), Gourmet Brigadeiros (chocolate truffles) and Churros ( delicious doughnuts filled with chocolate or salted caramel) from his tricycle. Agua Na Boca also provides catering services for parties and you can hire our food stall to make Churros at your party. Alexandra Palace, Manor House Gardens, Oval, and Herne Hill markets. Godmersham Game is run by Phil Miles. The company has been trading for over 10 years and has become well known for providing top quality game and game products to both trade and retail customers. 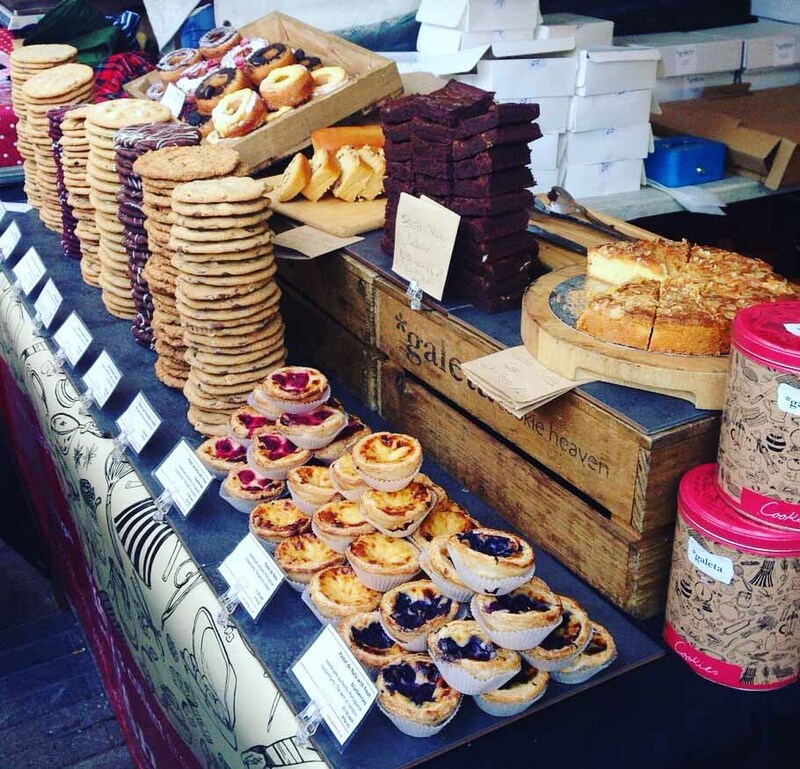 In addition to the many restaurants across Kent they supply, they can also be found at farmers markets across London at weekends. 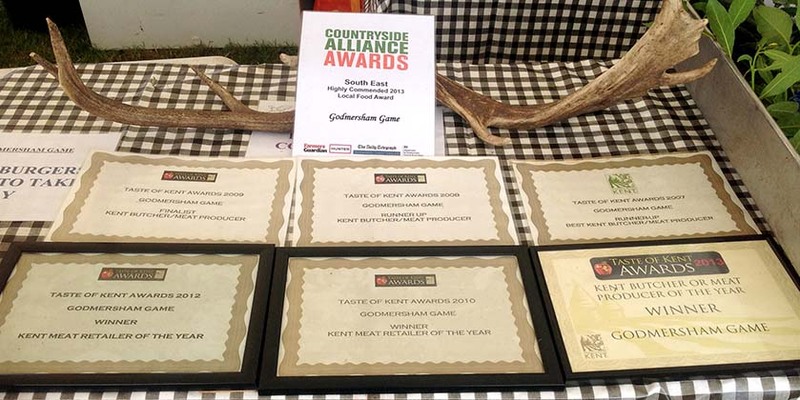 For eight consecutive years, Godmersham Game was in the top ten at the taste of Kent awards. 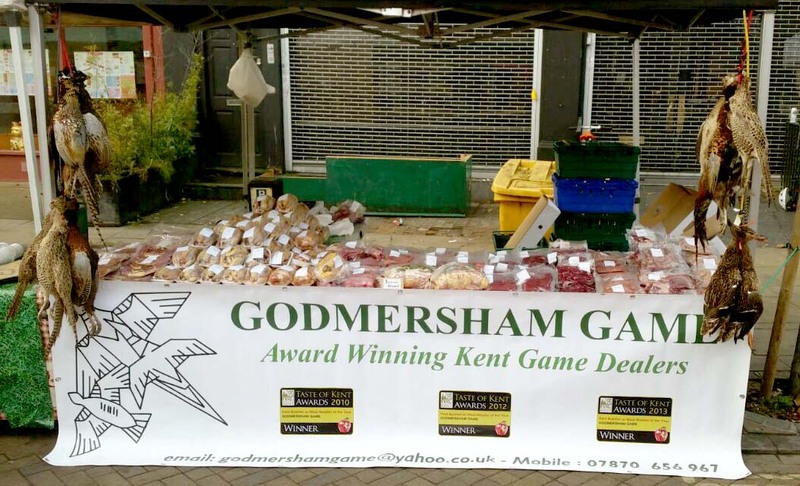 They were in the top three for six years in a row and for three consecutive years Godmersham Game has won the Taste of Kent awards. They were also finalists in the countryside alliance awards receiving a ‘highly commended’. Their vast range includes pheasant, partridge, wild duck, wood pigeon, quail, guinea fowl, wild rabbit, hare, venison and wild boar. They have recently started making their own venison salami and wild boar salami which is proving to be very popular with their customers. 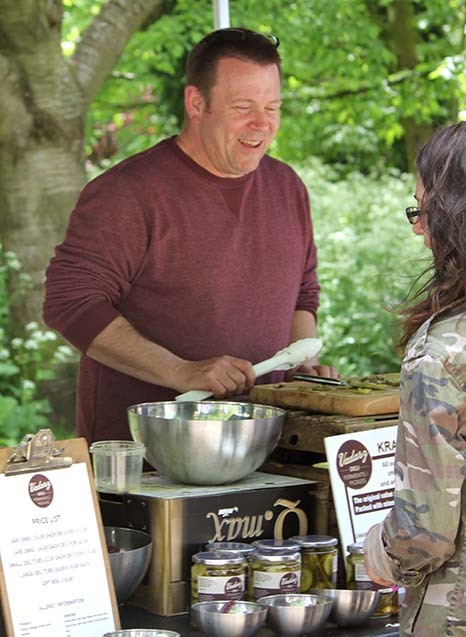 In addition to their oven-ready game, they also attend organised events, such as game fairs, food festivals and music festivals where they have our BBQ cooking their own wild venison burgers, venison sausages and wild boar and apple sausages. They also cater for private functions from simple garden parties to weddings and christenings. 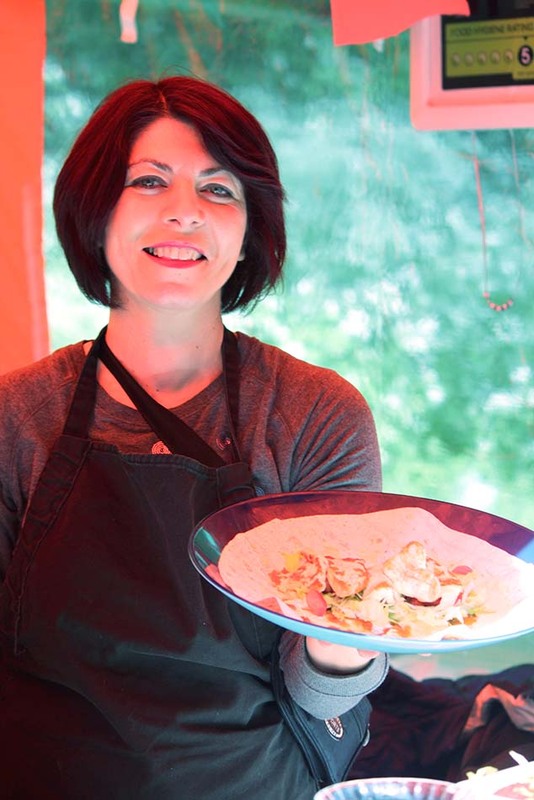 Chillimamas was established by Frances 4 years ago in her home kitchen in Hayes, Kent. 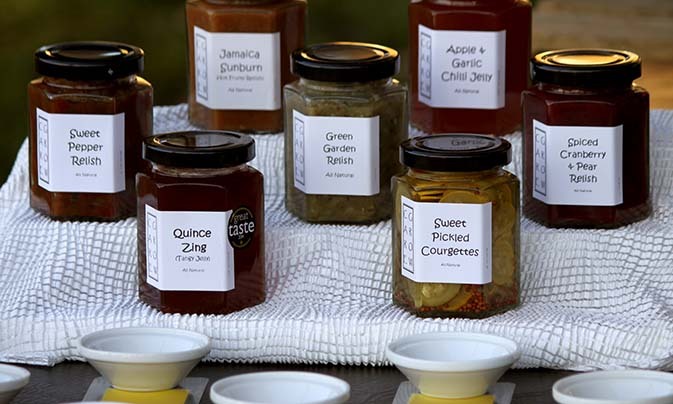 Chillimamas makes jams and chutneys mainly from organically grown fruit and veg from her garden. Any extra ingredients are usually sourced locally from friends and neighbours gardens. 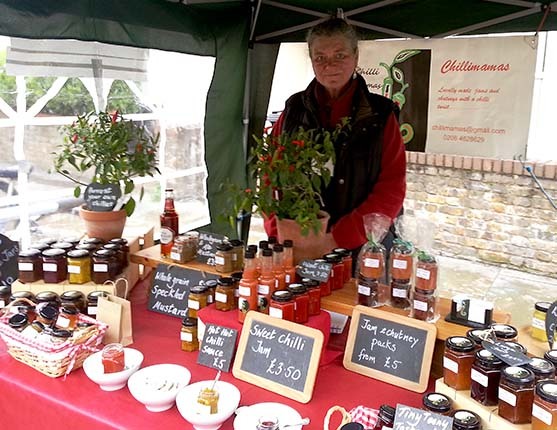 Each year Frances grows red hot chillies which she makes into her popular SWEET CHILLI JAM and her HOT HOT CHILLI SAUCE. 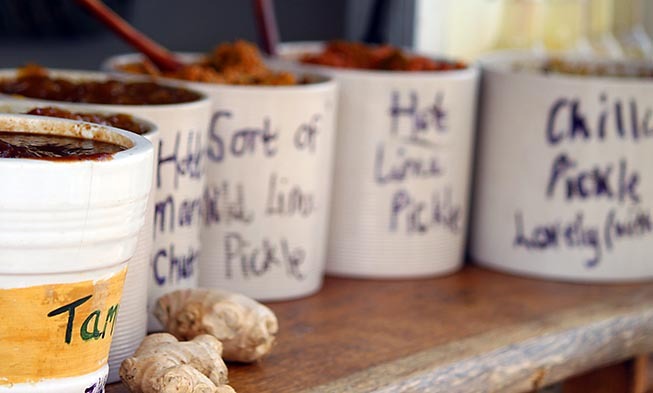 You can find Chillimamas once a month at Herne Hill Farmers Market where you can see and taste all her delicious range of tasty products. 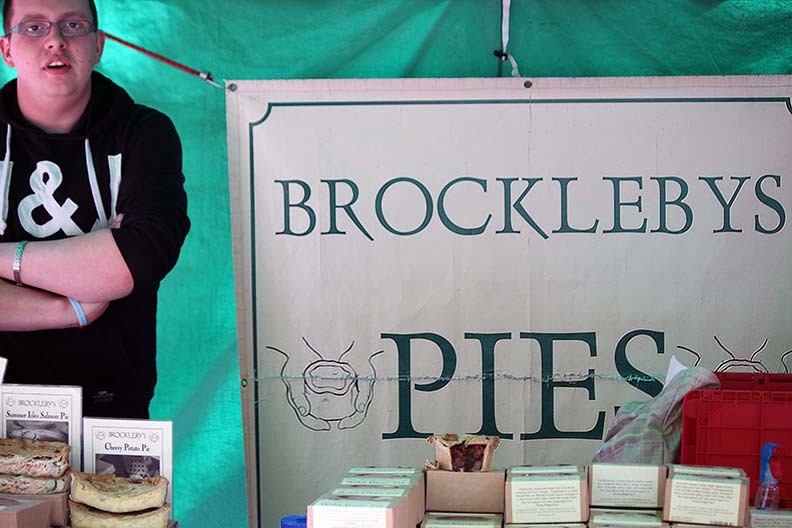 Brockleby's are third generation farmers from the Leicestershire/Nottinghamshire border and multi award winning pie makers. Not only do they make the world famous Melton Mowbray Pork Pies with free range pork they also make the only organic one in the world. 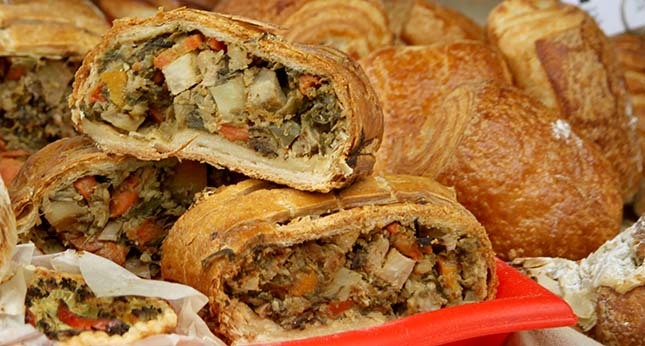 They have an extensive range of hot savoury pies all made from locally grown free range meat. This range includes the much talked about Wild Beaver Pie, championship Steak & Ale pie made with Beaver Ale and Longhorn Beef. Brockleby's have listened to there loyal customer base and a Gluten Free Pie is on its way. Tiger Spring Tea established in 2007 and was originally London based. This small loose tea company has now moved to Kent where they scent their own Real Earl Grey and blend their English Breakfast tea and other teas. They offer high quality English Peppermint sourced directly from the farm and a range of green and caffeine free teas. They trade at farmers markets in London, Kent and Surrey. You can also buy their teas online, and they supply wholesale to cafes and delicatessens. Giggly Pig are based in Romford and specialise in breeding outdoor reared free range Saddleback pigs. 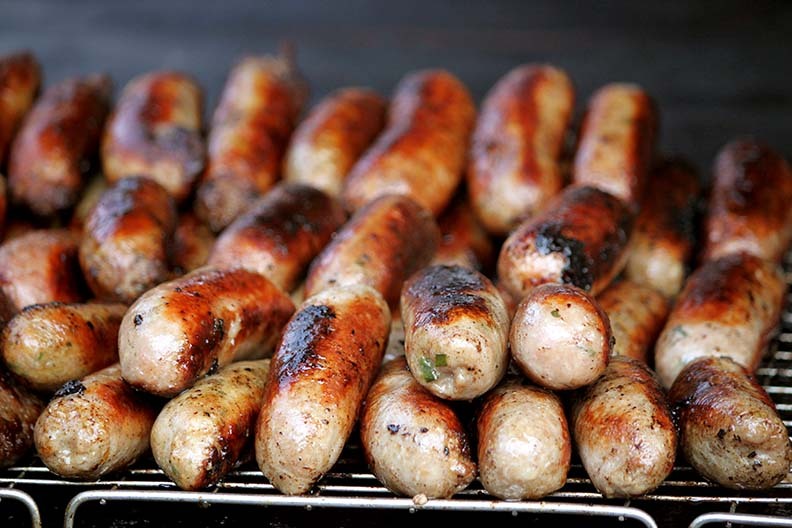 They have a butcher's shop 3 miles from their farm where they produce up to 65 different flavours of sausages, all handmade with 85% lean pork, made with natural skins and they are very proud of the fact that their sausages have virtually no fat! 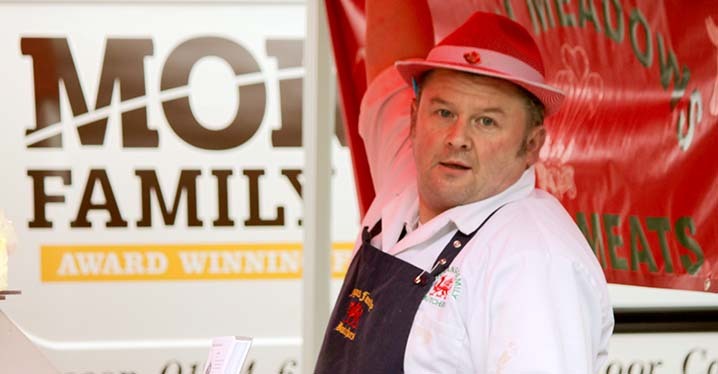 They have won awards for their sausages, dry cured back bacon and faggots. Their goods can be purchased from several farmers markets. Sausages and pork burgers in rolls are also sold at these markets. Alexandra Palace, Oval and Herne Hill markets. For afters, or starters, or even both, try Opera Ice Cream. Kerry is an opera singer, Spasko an ice-dreamer, and together they produce a homemade, locally sourced cold wonder. Identified last year by the Palmer's Green Community webmaster as 'the world’s best ice cream', and add in for 2015 frozen yoghurt and fruit (what?!) and it’ll be a warm welcome back from the market crowd!